Facebook indoors: This is a perfect match! Taking one of the biggest marketing and advertising machines and open up an entire new market place for them, Facebook indoors, seems like a no-brainer. Facebook is synonymous with Social Media, connecting people with content and other people. Replacing websites, text messaging, etc. This allows the platform to create accurate user profiles and focused adverts to them. This is very accurate but there is a missing piece of the puzzle, and it really is a key piece; Indoor Positioning. Indoor Positioning will help Facebook and their users (company pages) understand their customers better, see immediately how campaigns can turn heads; connecting the online and offline worlds like never before. 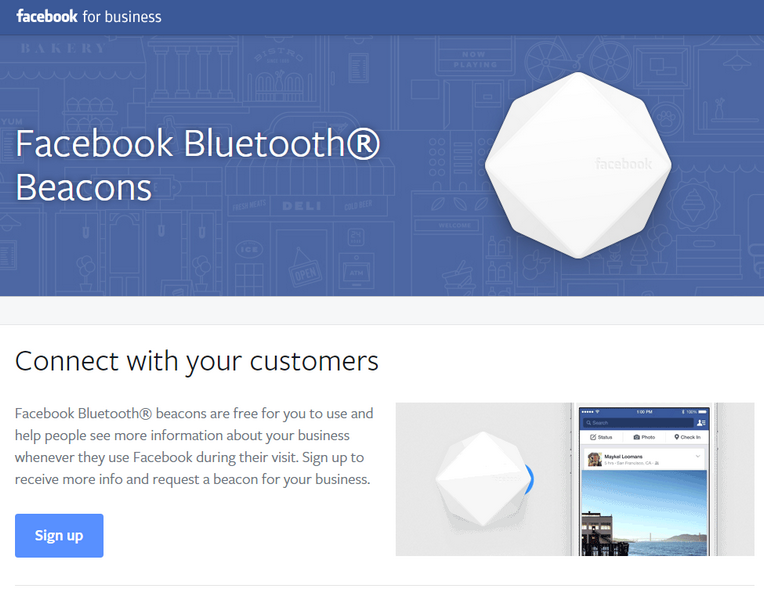 There is a bit of a history here, Facebook launched their own Bluetooth Beacons in 2015 to help link the online and offline world and create a real world foursquare. The opportunity came about for this as the check-in based startups like FourSquare started to dip in popularity. Facebook created PlaceTips to help support the Bricks and Mortar stores on the high street stand out a little more. The idea was to make them feel connected with the local stores, see which friends had been there before and even reviewed it. The project to support small businesses better understand their customers has not been as big a success as hoped for. This is currently only available in the US. This is where Indoor Positioning can make the difference and help create Facebook Indoors. Take Pokemon Go to the next level, turning the entire city inside and outside into a huge AR game. Facebook user Likes a Store, Shares a post from the store or Likes an offer on their page – you get the idea. Later that day they are in the Mall, walking past the same store and get a message personalized on their phone, maybe even a on a TV advertising screen. The user is shown the quickest route directly to the product that they liked on Facebook, they can then pay online and avoid the wait at checkout. Shopping without the hassle. Venue engagement: Online event creation, promotion, and ticketing; combined with live promotions. Think about a sporting event where you want to make sure the atmosphere is electric. Send the team song to all and really get the atmosphere pushing the team on. As people are more willing to consult their phones before purchases, known as Micro-Moments; finding the best way to actually connect with them throughout the process and guide them to exactly what they are looking for is extremely important. Showing how long a Facebook Ad, post etc takes to convert. With Indoor Analytics the full journey from online interaction to purchase can be optimized. This will allow for the right content to be sent to the right person at the right time and location. Does a user prefer to shop on a specific day, in a specific place, are they people who like to browse or know what they want? It will also be possible to work with the stores to fill the quieter periods with incentives to shop during those times. The shop layouts will be able to be optimized, through seeing how a store is used by the people. The list is endless here. One of the biggest barriers to Indoor Navigation using BLE beacons (iBeacons) has been the need to install an app. On some phones, the Facebook app is preinstalled and for others, it is the first app that they install, now with Messenger, Page Manager… Facebook has millions of apps installed on phones around the world. But that is just for one of their apps…there are a few more. Finally with Workplace by Facebook, the freshly rebranded Facebook for Work, it would be possible to also instantly roll out with the help of our SLAM technology, Indoor Navigation in offices around the world. This would offer the added benefit of helping a company with a multitude of tasks that could easily be automated or at the least augmented by Indoor Positioning. 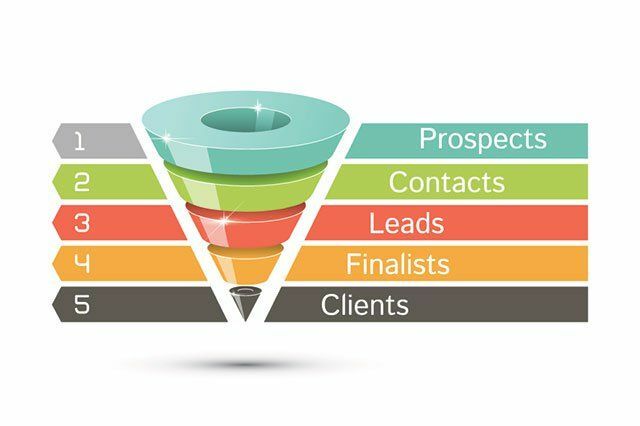 It might be the final (written about) advantage but it is one that will bring the biggest ROI of all. Using the SLAM technology, it is possible to map the entire indoor world at a pace that will make Facebook competitors’ heads spin. In utilizing the Crowd, it will be possible to keep the maps 100% up to date with no effort.